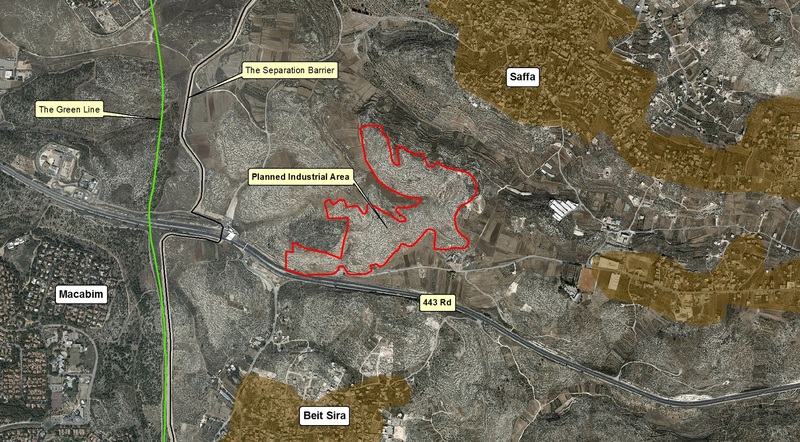 On Wednesday, September 28th, two plans were promoted by the Civil Administration’s Higher Planning Committee (HPC): one plan for a new settlement east of Shilo (approved for depositing), most likely meant for the settlers of the illegal outpost o Amona, and another for a new industrial zone west of Ramallah (approved for validation). The Israeli Government is likely to argue that it is “only” an expansion of an existing settlement, however, it is located approx. 1 km from Shvut Rachel (which is an outpost that was recently approved as an official settlement, located 1 km from Shilo. 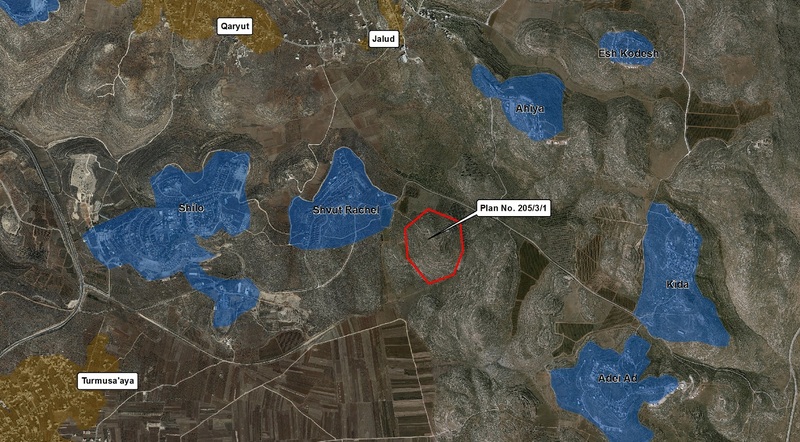 Both the new plan and Shvut Rachel are officially considered “neighborhoods” of Shilo but in fact are independent settlements). Based on previous publications, we estimate that this is the plan for the settlers of the illegal outpost of Amona, that are expected be evicted by the 26th of December 2016 according to the High Court’s ruling. It is likely that this will be a part of the “compensation deal” for the settlers – who lost Amona but were given a whole new settlement with a potential for 300 units. The HPC will now publish an ad announcing the depositing of the plan and then will allow the public time to file objections (usually 60 days). After the objections will be heard, the HPC may convene to approve the plan for validation. This is not likely to be completed by December, meaning that the Israeli government might ask the court for a postponement of the fulfillment of the verdict on Amona, or, alternatively, will build them a temporary site through “fast track” approvals. 2. Approval for validation of a new industrial area, west of Ramallah, close to the Green Line. This is the final approval required. After the bureaucratic procedures are completed, the plan will be published as valid and two weeks later construction permits can be issued. The new industrial zone can be considered as another kind of settlement as the Israeli government will be encouraging investors to build their factories in this area, which is potentially highly attractive for industries because of its close proximity to both Tel Aviv and Jerusalem.